On Friday I took part in Critical Mass. 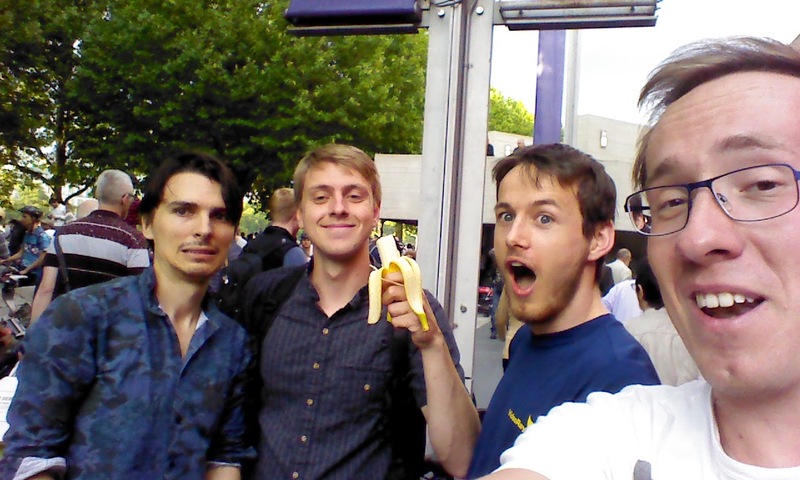 I met Tom at Hyde Park and we cycled to meet his friend, Felix and his friend, Thomas and then onwards to roughly assemble for around 7pm. At 7.15pm the mass rolled out. The 1000 odd cyclists that take part in Critical Mass is a spectacle. Despite taking part many times before, I can never getting over seeing this collection of cycling enthusiasts of all different ages and abilities on bicycles, tandems, skateboards and I even saw a Segway. This ride felt different. A few had speculated on the Facebook page that this mass was led by some novices who, owing to the naivety, caused the mass to split up on numerous occasions and ended up going down some narrow places; a small space with so many cyclists is not a good idea. Despite the initial negativity, this Critical Mass was great. A few needlessly hostile drivers. On the way back to Tom’s, we stopped by at a closed Sainsbury’s Local and went on my second ever dumpster dive (or skipping – haven’t yet decided what to call it.). 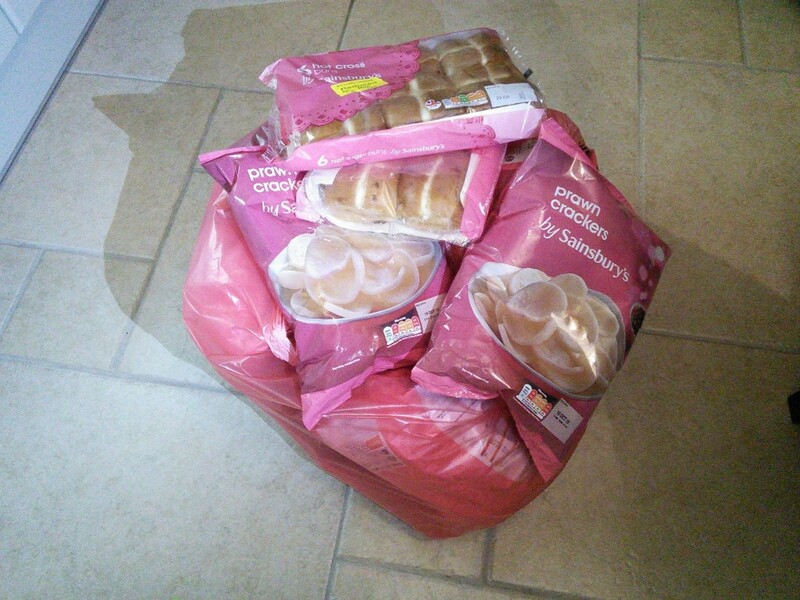 We had a little look and grabbed 15 bags of Prawn Crackers. All were well in date, the first ran out at the end of this month and all but one were airtight. That went in the bin but the rest acted as a nice energy boost the next day. I also found two packets of hot cross buns which ran out the day before. Breakfast! Yum. 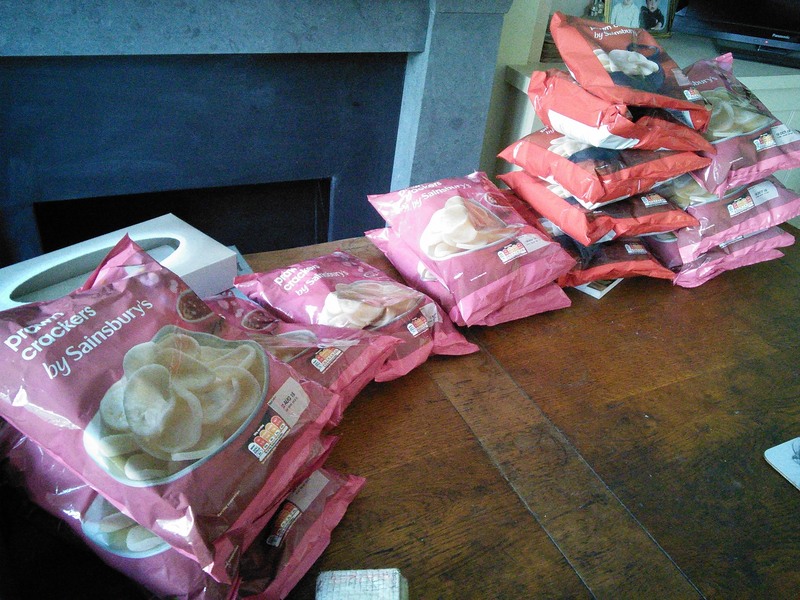 Lots of prawn crackers. Free! 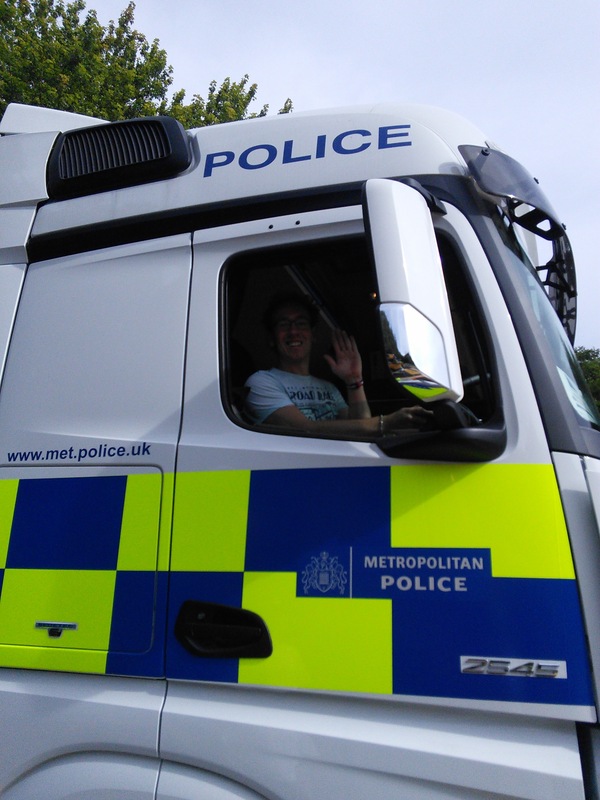 The next day we were up earlier to head to central London for Prudential RideLondon Free Cycle. 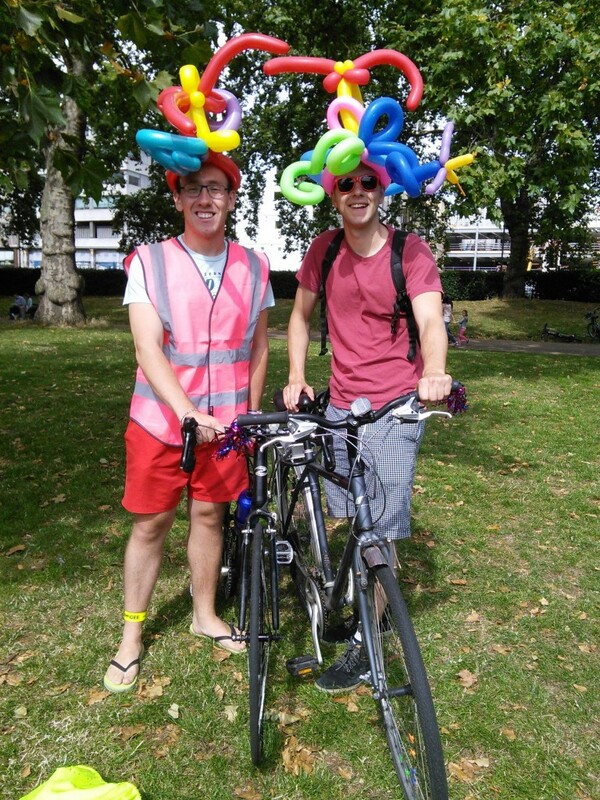 Before the cycle, we attended some stalls in Green Park. Despite being vaguely aware, as I did the same when I was 10, I sat in a lorry cabin. It is worrying how a cyclists can quickly disappear from view. 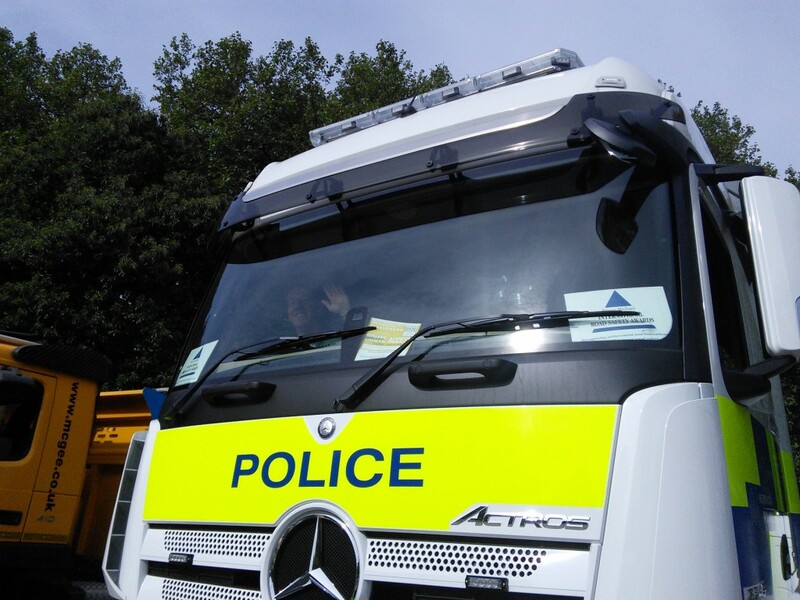 Why, oh why, are vehicles of that size not fitted in more mirrors or cameras so the driver can fully see around. Crazy! 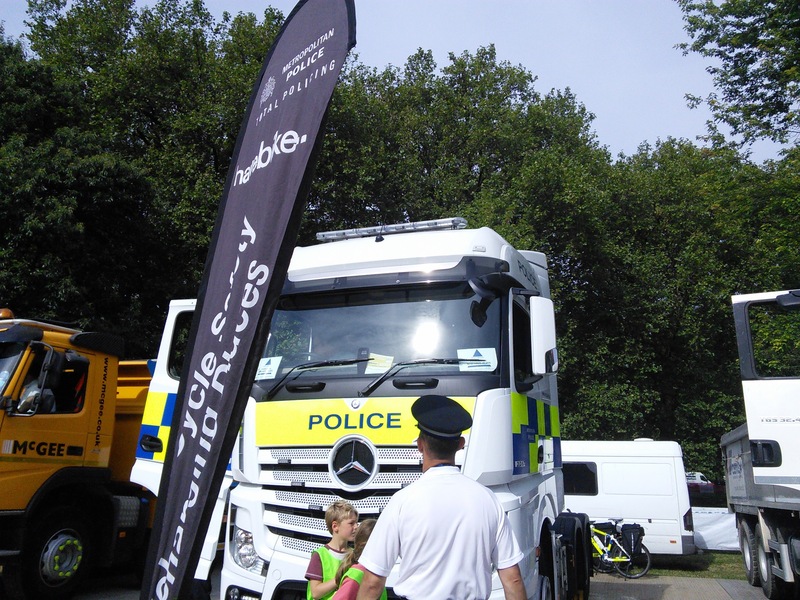 Police lorry. It’s scary how cyclists disappear if the sit in front or to the sit of the cabin. 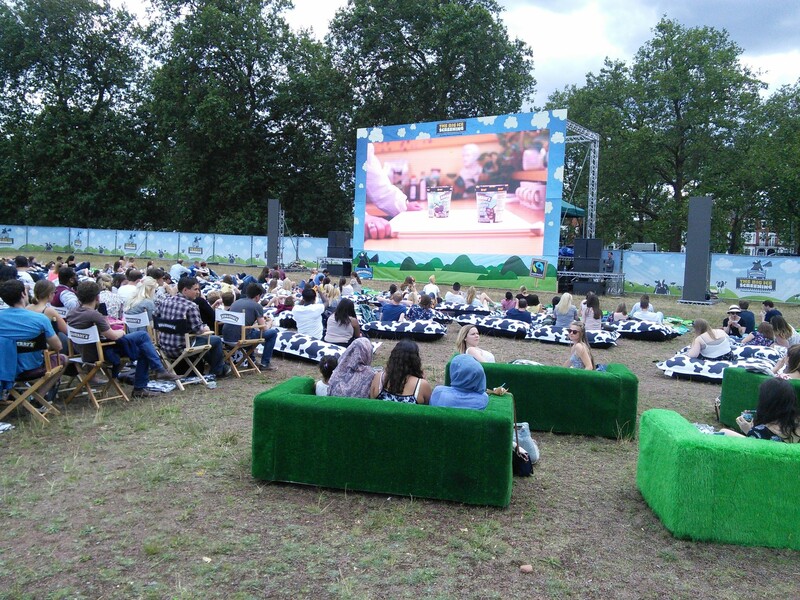 On the way back we stopped off at Clapham Common to check out a temporary outdoor cinema. 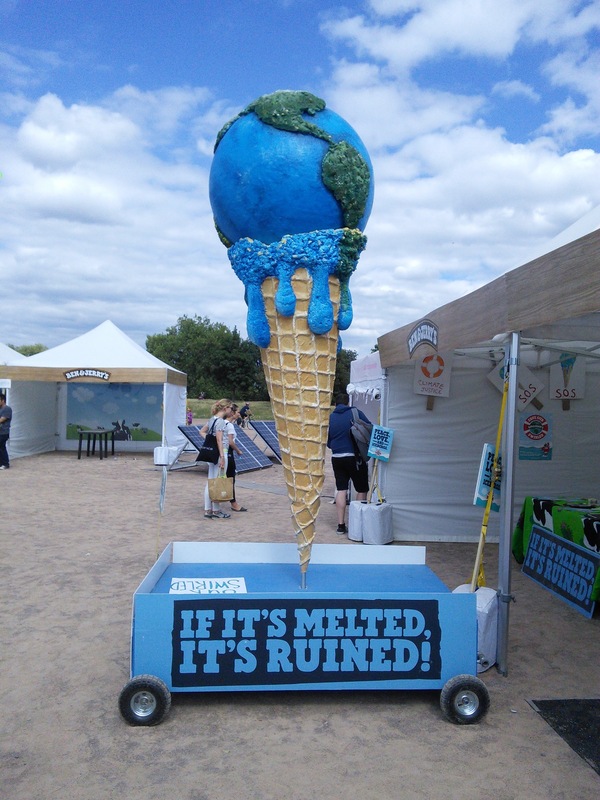 We soon found out it was for Ben and Jerry’s new climate change campaign and was therefore powered by cycling and by solar. 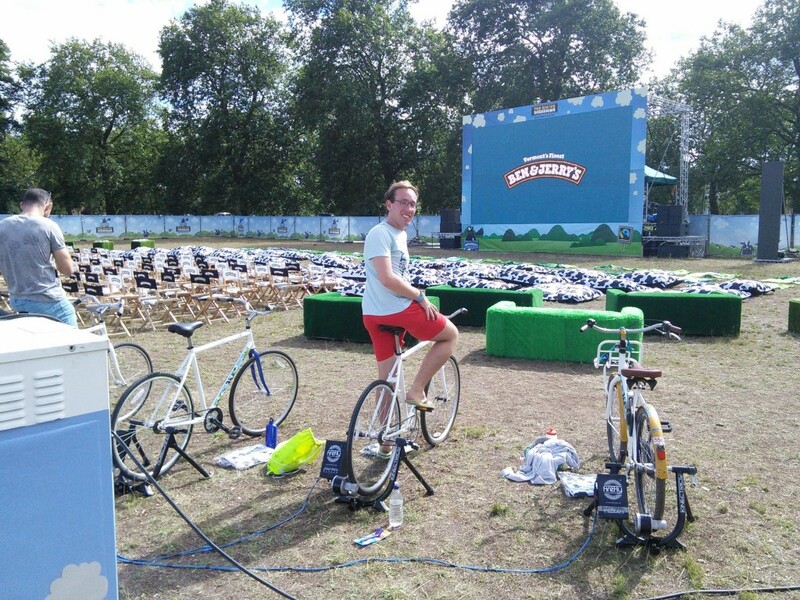 Of course, we volunteered to pedal so for an hour and half we pedalled as 500 Days of Summer played. We were ‘paid’ by an unlimited ice cream during the film. 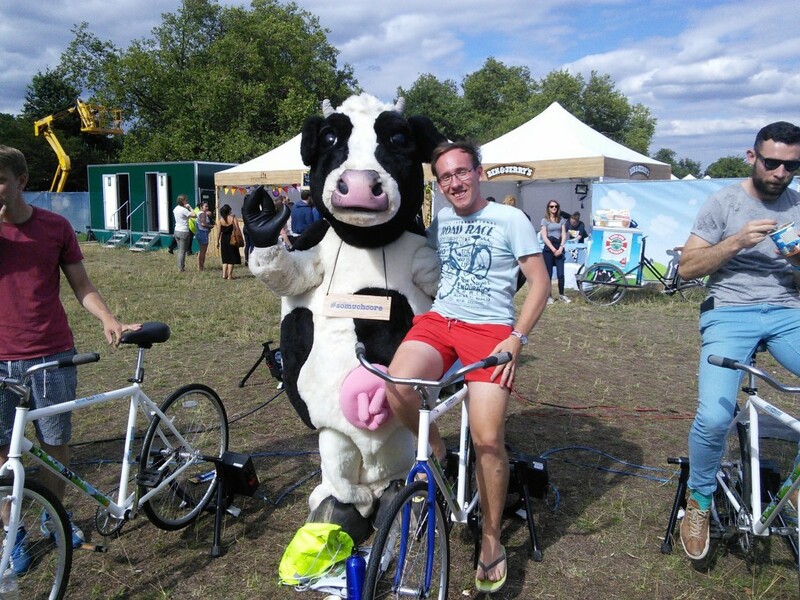 Ben and Jerry’s cow and me. I love cycling and I love the cinema and I love anything environmental so this ticked all my boxes. In the two days I was in London I tracked I had cycled 60 miles plus the continuous pedalling for the cinema. Phew!